A popular initiative that would legalize recreational marijuana in California is now officially on the November ballot. 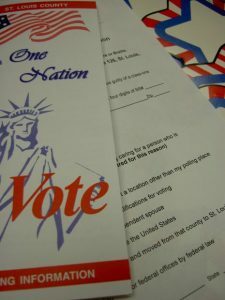 The measure had to garner a minimum of 600,000 valid voter signatures to qualify for consideration. A random sampling of those signatures by the state election’s office proved there were enough, numerous outlets reported. A spokesperson for the initiative, the Adult Use of Marijuana Act, said the approval marks the start of a step away from the expensive, harmful and ultimately ineffective prohibition on the responsible, legal use of adult marijuana use. Our California cannabis lawyers know the majority of residents in this state – including across party lines – agree that marijuana needs to be legal. Of course, California was the first state to legalize the drug for medicinal purposes back in 1996. However, our state has been behind the curve on the recreational marijuana front. Already, Colorado, Washington State, Oregon, Alaska and Washington, D.C. have all approved the drug for recreational use. As it now stands, voters in Maine and Nevada are slated to consider similar initiatives in November. Arizona and Massachusetts too will probably be in the same boat, though those actions haven’t yet been formalized. Michigan too may join those ranks, though it faces an uphill battle. Although any one of those states will be a victory for the marijuana industry, California has been titled, “The Big Enchilada.” We have 38 million people in this state. If recreational marijuana were approved here, it would more than double the market. This state represents more than 10 percent of the entire U.S. population. Already, marijuana is a multi-million dollar industry – and that’s just for medicinal marijuana available to those with a valid prescription. If recreational marijuana became a reality in California, it’s very likely the industry would balloon to a multi-billion dollar one. The likelihood of it actually happening here? According to a number of polls: Very good. The Public Policy Institute of California ascertained recently that overall public support for legal marijuana was about 55 percent. However, among likely voters, support was 60 percent. Another study, but Probolsky Research poll reached a similar conclusion – 59.6 percent support for the measure. The measure also has significant financial backing: The fundraising committee for the measure has raised some $4 million this year. That dwarfs the amount raised for the Coalition of Responsible Drug Policies, which was the initiative introduced by state and local law enforcement agencies. It won’t be the first time the state has considered such a measure. Back in 2010, Proposition 19 asked voters to approve recreational marijuana, and they turned it down. But it’s not 2010 anymore. Not only have attitudes toward recreational marijuana evolved, but this is a presidential election year. That means voter turnout is likely to be much higher than it was six years ago. Funnel revenues into teen drug prevention and treatment, law enforcement training and economic development in communities disproportionately impacted by marijuana prohibition. Our California marijuana lawyers offer representation to individuals, businesses and caretakers.